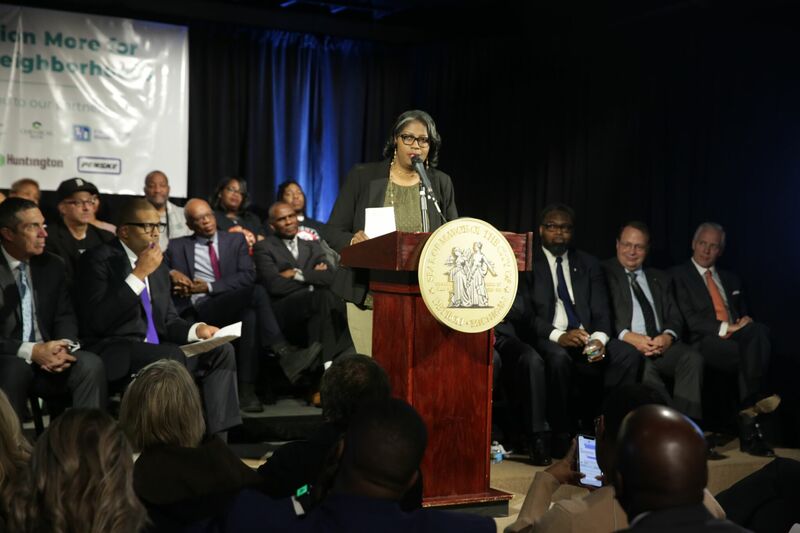 DETROIT – The neighborhoods of Detroit are finally getting some much-needed attention, with a record $35 million boost to spur development and physical improvements, thanks to historic commitments from seven companies. Seven companies contributed $5 million each to fund improvements to the neighborhoods and affordable housing. The companies are American Axle and Manufacturing, Blue Cross Blue Shield of Michigan, Chemical Bank, Fifth Third Bank, Flagstar Bank, Huntington Bank, and Penske Corporation. 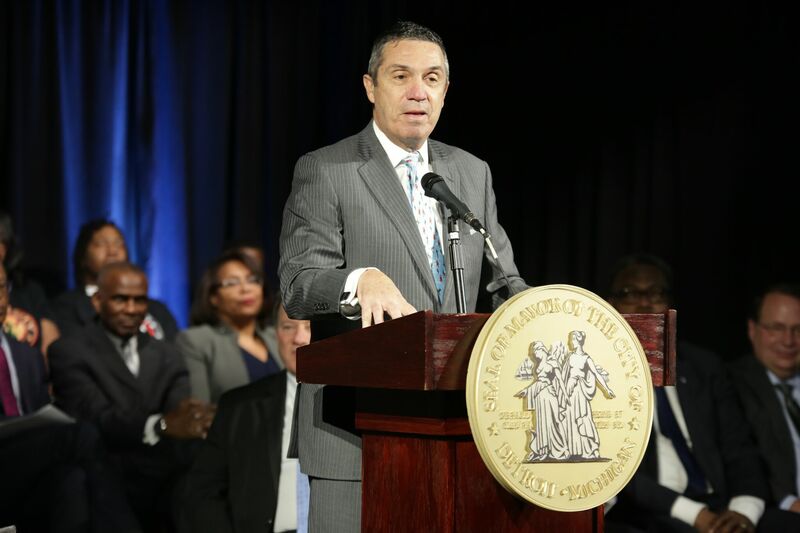 It is the largest corporate donation to neighborhood development in the Detroit’s history, city officials said. It is expected to leverage another $70 million in private investment, for a total of $105 million in new neighborhood investmemt. 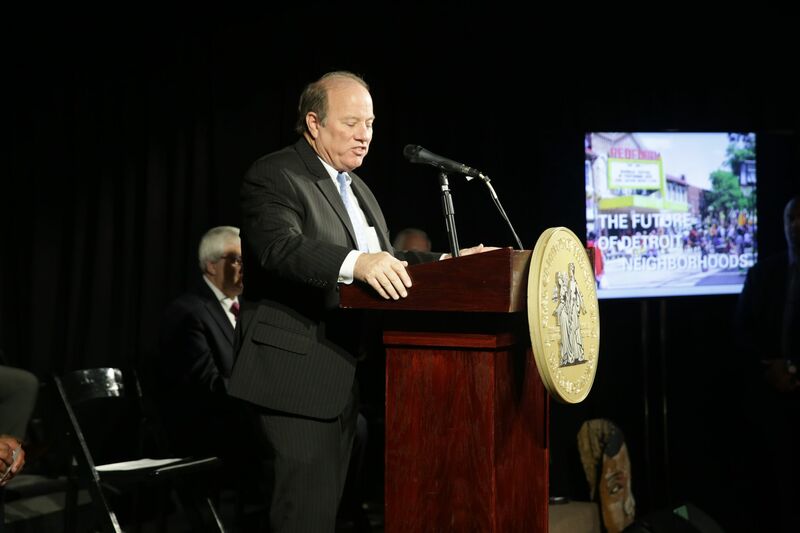 Mayor Mike Duggan, several corporate CEOs, and city officials made the record-breaking announcement Monday morning at the Artist Village Detroit on the city’s northwest side. The money will go into the Strategic Neighborhood Fund for physical improvements across seven areas over the next five years, including Campau/Banglatown, East Warren/Cadieux, Grand River Northwest, Gratiot/Seven Mile, Jefferson Chalmers, Russell Woods/Nardin Park, and Warrendale/Cody-Rouge. Specific rollout plans for the money and its distribution will be decided in January and February through community discussions. 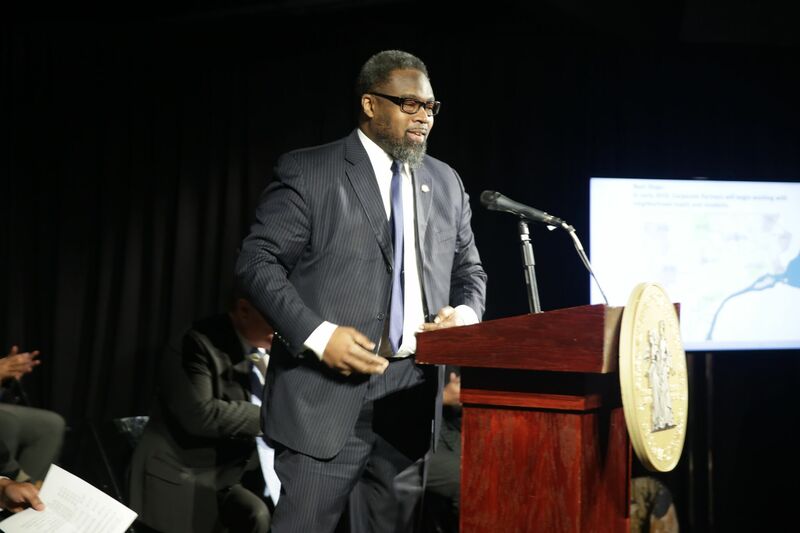 The city of Detroit will drive these neighborhood developments based on the model of development in the first three Strategic Neighborhood Fund areas, Livernois/McNichols, Southwest/West Vernor and Islandview/Greater Villages, where improvements are already underway. The coalition of partners came together over the last year, in an effort led by Mayor Duggan and Chairman of Chemical Financial Corporation Gary Torgow, as well as Huntington Bank CEO Steve Steinour, and Blue Cross Blue Shield of Michigan CEO Dan Loepp. Torgow, Steinour, and Loepp all met with a number of other corporate leaders to share the city’s vision for neighborhoods and recruit the seven partners announced today. Each of the seven designated areas is made up of clusters of neighborhoods. The effort will bring development to more than 70 individual neighborhoods across Detroit, Duggan said. The Old Redford neighborhood where the announcement took place, is a part of the Strategic Neighborhood Fund 2.0 program. That area has already seen neighborhood improvements and business investments over the years, including a Meijer, Sweet Potato Sensations, Artist Village Detroit, affordable and senior housing and other projects. Alicia George is the owner of Artist Village Detroit and is glad that more investment dollars are coming to areas outside of downtown and midtown. Residents can get involved in neighborhood planning by visiting detroitmi.gov/PDD or by contacting their district manager directly. “I tell my residents all the time, don’t complain if you’re not in the room,” said Detroit City Councilman James Tate, who urged residents in his District 1 and all over the city to attend upcoming community meetings in their respective neighborhoods.